Autumn Eyes - Sugar, Darling? One of my favourite things about Autumn and Winter is that I can crack out my favourite rich, metallic palettes. 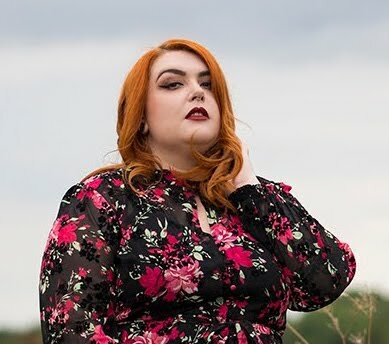 It never seems quite right to wear deep berry tones or earthy greens in the Spring and Summer, I usually stick to a plain cat eye and bold lips until the leaves start to fall and then I go wild with my eye make up! This is probably my favourite palette for this time of year. It's the one I find myself reaching for time after time because I know I can put a look together with just this rather than having to dip in an out of lots of different shadows and palettes. 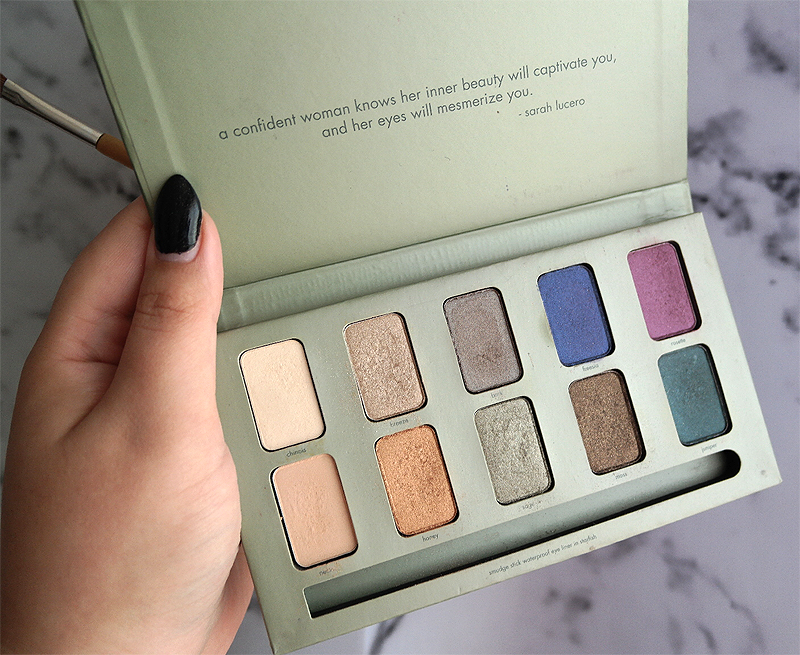 This is the In The Garden Palette by Stila (£25.00) and it really is a dream. Each colour is wonderfully pigmented and has just the right amount of shimmer. 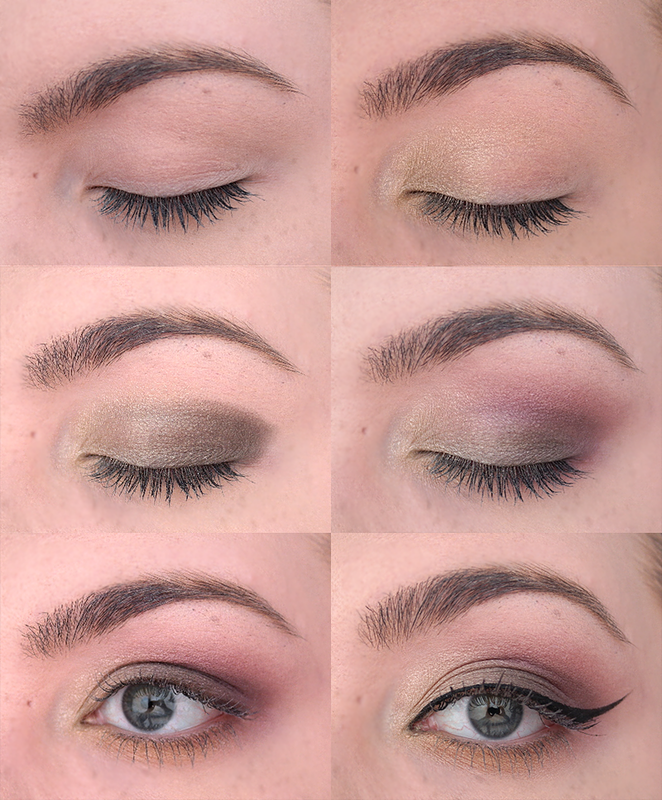 They all blend beautifully and every shade works with the other so there are endless possibilities for different looks. I will admit that I was a little disappointed at the case when I got it as it's not the usual plastic or metal, but after using the products for five minutes that was all forgotten as they are all so fabulous. Not pictured above is an eyeliner pencil that also comes in the palette, but is now sitting in my eyeliner pencil pot! As I'm a fan of step by step make up tutorials myself I figured it was about time I did one myself and so here is my eye make up look from last Sunday - I really hope you like it! Step 1 - Apply your eyeshadow primer and let dry. Step 2 - Take the colour 'breeze' and apply it to the inner corner of your eye, blending it back over the first third of your eye lid. Step 3 - Apply 'moss' over the rest of your lid, blending it into the 'breeze' and applying it more heavily at the outer corner of your eye. Step 4 - Use 'rosette' in the crease area making sure you both blend it in with the 'moss' on the lid and out towards your brow. Step 5 - With a small brush take 'honey' and apply it under your lower lashes, blending it in to the other colours towards the edges. Step 6 - Add a chic flick of black eyeliner in the style that best suits your eye shape, or leave this out if you prefer a little less dramatic look. 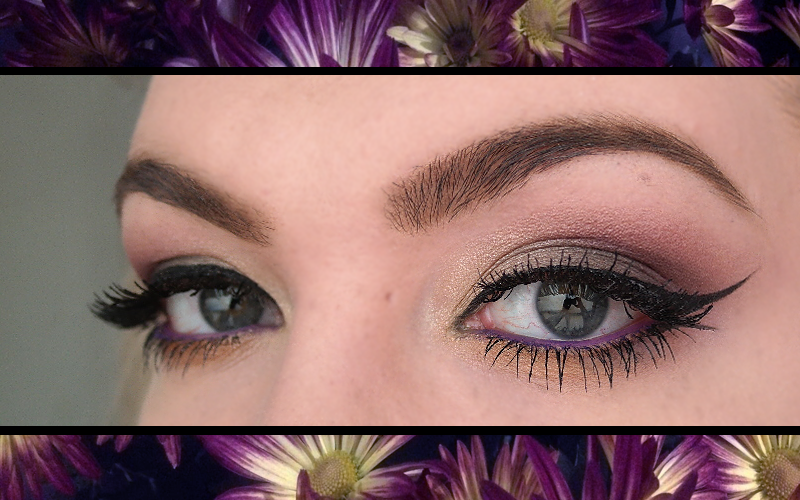 Step 7 - Take a Stila Smudge Stick in Violet (£13.99) and apply it to your water liner. Step 8 - Add a light sweep of 'chinois' on the brow bone to highlight your arch. Step 9 - Apply your brow products of choice - I use a matte brown powder eyeshadow to define my natural brow shape, applied with an angled stiff bristled eyebrow brush so I can blend it in to look more natural. 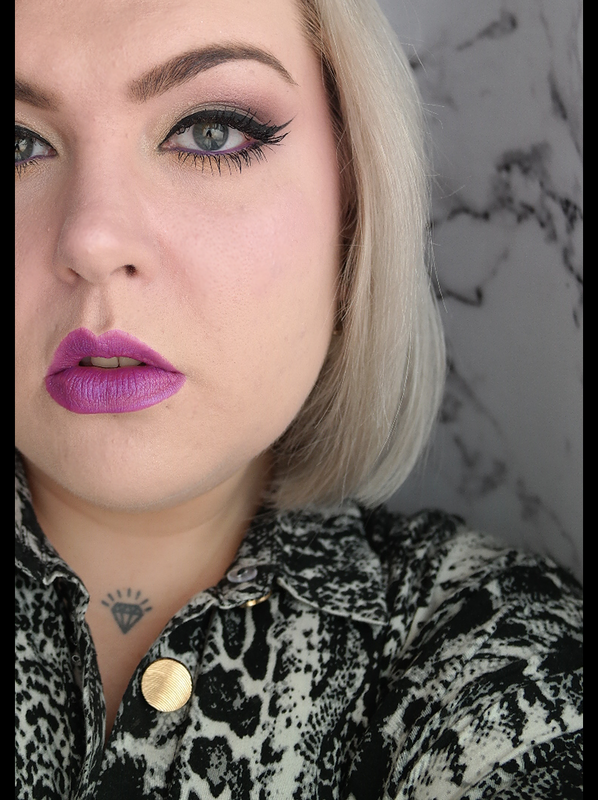 Step 11 - Put on your lipstick of choice - I'm wearing Kat Von D Studded Kiss Lipstick in Wonderchilde ($21.00) above - and then you're good to go! So what do you think? Is this a look that you'll be giving a go too?